Our goal is simple: to provide artists with a selection of finely crafted and unique picture frames at discount prices. 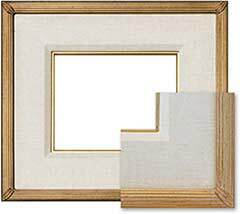 The right frame can dramatically enhance your art work as well as the room it's showcased in; presentation is everything! 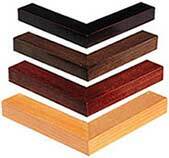 It is possible to get beautiful quality, solid wood, hand finished frames at discount prices. We make the selection and purchasing process as simple, secure and satisfying as possible. Customer satisfaction is our #1 priority. Please check back often as we are always adding new frame styles in standard and custom sizes, plein air frames being our specialty, and please compare our prices. Whether you're a fine artist, gallery, collector, student, or hobbyist, you'll find the perfect frame and the convenience of shopping online. 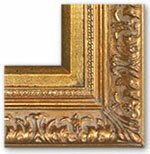 ArtFrames also offers custom size frames at a fraction of the price of retail shops. By using our Secure Shopping Cart, you can calculate the price of frames, shipping charges and sales tax before you purchase. Payment may be made by Visa, MasterCard, American Express, Discover or PayPal through our Secure Server. Don't forget to visit our links page, many talented artists and informational sites. "Very pleased with my recent order. Quality is excellent... Framing my whole show with your frames... Thank you." ArtFrames - Serving the creative community online since 1998. ArtFrames.com is owned by Stephen Crisafulli.